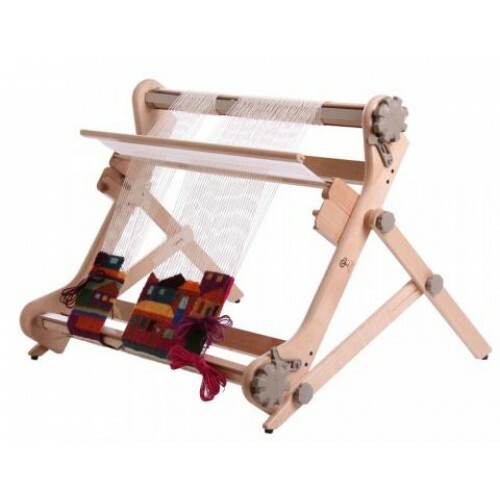 It is a sturdy stand that allows you to weave on your Rigid Heddle loom in an upright position. It is adjustable, you can choose the angle you want your loom on, and it has rubber feet for stability. It now makes your Rigid Heddle loom even more versatile and even better for weaving tapestries and other hand manipulated weaves on. Weaving tapestries just became easier!